He was born in the eastern French village of Molay in 1244 or 45. Almost nothing is known of his early life, but he joined the Templars at the age of 21, and served 42 years as a warrior monk. In 1291, the Holy Land fell back into the hands of the infidel, and would never fully return to Christian rule. 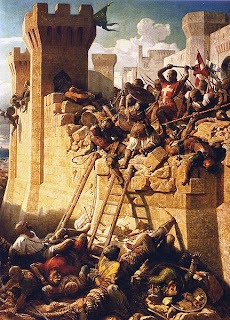 The Templars and the Knights Hospitallers fell back to the coastal city of Acre, which was quickly lost. Both orders subsequently went to the island of Cyprus. The Templars remained here, while the Hospitallers later took the island of Rhodes. That too would be lost eventually, and the Hospitallers eventually settled in Malta, where they became known as the knights of Malta. 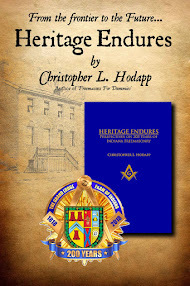 In spite of the modern Masonic orders that unite these two orders of knights, they were bitter rivals for the wealth and favor of Europe and the Church. Jacques de Molay was elected Grand Master in 1293 at the age of 47. Immediately he set off to England, France, Aragon and Italy to drum up support for a new crusade to the Holy Land, as well as to fend off a growing call for merging the two orders of knights. Politiucally, the Templars were regarded as the men who lost the Holy Land, and monarchies were becoming distrustful of them. France in particular was feeling overrun with returning, aging knights, who still were free from any kind of taxation or even civil laws, by virtue of Papal bulls that held the order above anyone but the Pope. King Phillip IV of France and his personal henchman Guillaume de Nogaret had been in severe conflict with the then-reigning pope, Boniface VIII. The pope had declared that the king of France had no right to tax Church property, and the king had, obviously, disagreed. De Nogaret kidnapped an important French bishop, and the pope had come out swinging over it. He issued a papal bull proclaiming that kings must be subordinate to the Church, and that popes held ultimate authority over both spiritual and temporal matters on earth. To make sure they got the message, Boniface excommunicated Phillip and de Nogaret. Phillip answered his challenge by sending the brutal, devious and bad-tempered de Nogaret at the head of an army to meet up with Italian allies and capture the pope. Boniface was indeed kidnapped and held for three days. After literally being beaten to a pulp, he was released and died a month later. The French king had proved just who was subordinate to whom, and he didn’t mind a little papal blood on his hands. Pope Boniface’s successor, Pope Benedict XI, lasted only a year in office, poisoned, it was said, by de Nogaret. But there had been diplomatic difficulties to suffer for killing two popes. Consequently, King Phillip decided it would be easier to just buy one. He began procuring cardinals, pulling strings behind the scenes until the number of French cardinals in the Vatican’s College of Cardinals was equal to the Italian ones. They then obligingly elected his handpicked candidate, Bertrand de Goth, making him Pope Clement V. The city of Rome was in turmoil, and the safety of the Vatican was in question. So, it didn’t take much to convince the new French pope that his life would be in serious danger by living there. Clement obliged by staying in France, having his ceremony of investiture in Lyons. He remained in France, eventually moving the Holy See to the city of Avignon (which was actually owned by the King of Sicily at the time) in 1309, right on Phillip’s back door step, where he built a new papal palace. Catholics often refer to it as the “Babylonian Captivity.” Nowadays it’s usually called the Avignon Papacy or the Great Schism. Clement had everything Phillip wanted in a pope: he was puny, weak, new in the job, and owed everything to his French king. Now was the time for the boldest move of Phillip’s reign – the arrest of the Knights Templar. Jacques de Molay left Cyprus to head straight for a meeting with the new Pope, and he had high hopes for success, especially since they were countrymen. He couldn’t at this point have known of the dark forces that were assembling against him behind the scenes. In June of 1307, de Molay rode into Paris at the head of a column of his knights, with a dozen horses laden with gold and silver, to begin the financing the new Crusade. 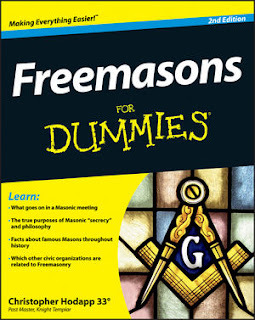 For the next several months, Phillip treated the aging Grand Master with interest and diplomacy, and de Molay believed he and the Order were at a new turning point. The circumstances of the arrests on October 13th, 1307, and seven years of trials of the Templars are well known to most of us, but we are most concerned with the last Grand Master tonight. By 1314, both the pope and public opinion had abandoned the Knights Templar. The four senior Templar officers in Phillip’s custody had been waiting in prison for seven grim years. All of them were old, the youngest being Geoffroi de Charney, who was almost 60. Jacques de Molay was in his 70s, and had spent four years in solitary confinement. On March 18th, 1314, the four men were finally led onto a platform in front of Paris’ Notre Dame Cathedral to hear the charges and make their public confessions. The charges were read, and two of the men accepted their fate of perpetual imprisonment and were led away. But Jacques de Molay, and his trusted friend Geoffroi de Charney, did not follow suit. Weakened with age and imprisonment, de Molay shouted in a voice that startled the assembly that he and the Templars were innocent of all the charges. They were returned to their cells at once, while Phillip called together his council and quickly pronounced sentence, using the insane logic of the Inquisition; if they had recanted their confessions, then they were considered “relapsed heretics,” and the penalty was the stake. 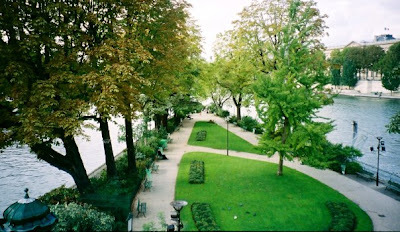 Late that afternoon, de Molay and de Charney were led to the place of execution, which was a tiny isolated island adjacent to the Isle de la Citè, called the Ile aux Juifs, the “Island of the Jews.” The condemned men could see Notre Dame Cathedral in the east, but the site was not chosen for their view. Rather, it was chosen so that King Phillip could enjoy the entertainment without leaving his palace just across the River Seine. Each man was stripped down to his shirt and tied to the stake. Jacques de Molay, with unbelievable courage, asked not only that he be turned to face the Cathedral, but that his hands be freed, so that he could die at prayer. His request was granted. The two men were roasted alive by the Inquisitional method that began slowly with hot coals, so that their agony could be prolonged as much as possible. When the Pont Neuf was built, the Île aux Juifs was joined to the rest of the Île de la Cité, and today there are not one, but two plaques near the bridge to commemorate this event. According to legend, Jacques de Molay did not go to his God in silence. Instead, he died defiantly shouting his innocence and that of the Templars, calling on King Phillip and Pope Clement to meet him before the throne of God in one year’s time, where they would all be judged together. Creepily enough, both men, relatively young, would be dead within the year. One month after the death of de Molay, Pope Clement V, age 54, died, it was said, of cancer. 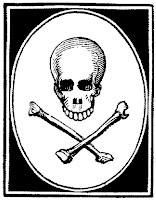 Phillip the Fair, age 46, would die in a hunting accident probably brought on by a stroke. He died on November 29th. The gruesome death of Jacques de Molay is the last act of the Templar story. At least, the last act of the accepted, scholarly story of the Knights Templar that is told, in names and dates, between the covers of the history books. But in reality, his death is only the beginning. It’s the beginning of the myth of the Knights Templar, which is the maelstrom around which an endless stream of fact blended with speculation swirls, unabated. In 2001, a document found in the Vatican archives called the Chinon Parchment, and was later released to the public. The parchment had been misfiled and had been lost to scholars for centuries. In it, it was revealed that a private team of Papal investigators had looked into the charges against the Templars, and on August 20, 1308, Pope Clement V secretly absolved the Order of all charges of heresy. 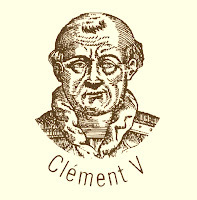 It had been Clement's intention to save DeMolay and the Templars from death at the hands of the French king. But in retaliation, Phillip threatened the weak Pope with military action if he did not dissolve the Order, which was done at the Council of Vienne in 1312.